Young Countess Meliara swears to her dying father that she and her brother will defend their people from the growing greed of the king. That promise leads them into a war for which they are ill-prepared, which threatens the very people they are trying to protect. But war is simple compared to what follows, in peacetime. 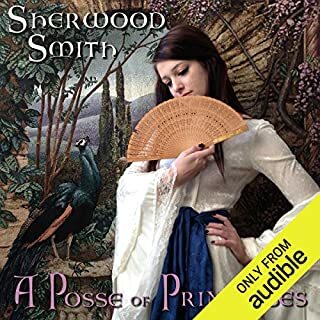 Meliara is summoned to live at the royal palace, where friends and enemies look alike, and intrigue fills the dance halls and the drawing rooms. Do they listen before publishing? 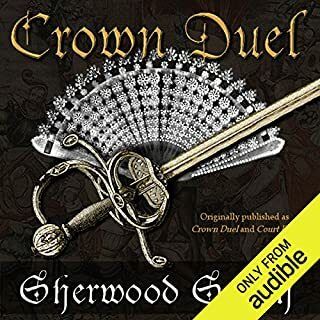 In this prequel to Crown Duel, teenage Shevraeth is invited by a king his own age to train in command at the cavalry academy in Marloven Hess, known for its violent history. Shevraeth is reluctant to leave his own comfortable and civilized Remalna for this warrior kingdom, except that Remalna is slowly becoming less civilized and more violent under a bad government. In Marloven Hess' elite academy, Shevraeth finds every assumption overturned, including his own identity. The making of a leader - not to be missed! Uncertain of the past, Aerin-sol, daughter of King Arlbeth, decides to forge her own future by challenging the lashing tongues of the dragon’s fire. Aerin’s proficiency as "the Dragon-slayer" sets her on a quest for the stolen Crown of Damar, believed to be in the hands of rebellious northerners who threaten to destroy the Damarian people and their home forever. Rhis, princess of a small kingdom, is invited along with all the other princesses in her part of the world to the coming of age party of the Crown Prince of Vesarja, which is the central and most important kingdom. When Iardith, the prettiest and most perfect of all the princesses, is abducted, Rhis and her friends go to the rescue. 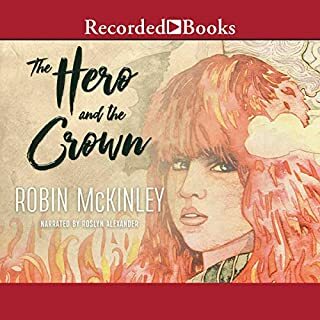 What happens to Rhis and her posse has unexpected results not only for the princesses, but for the princes who chase after them. I love this .My favorite part is the unmasking!!!! Lhind has been on the run all her life. Stealing what she needs, using magic for disguise, she never stays anywhere long. Lhind even has secrets from herself, for she has few memories, and those are troubling. But life is good until she gets caught by Rajanas the warrior-prince, Thianra the bard, and Hlanan the scribe. And that’s when adventure begins, because someone very powerful wants them all dead. As they evade pursuit and work to uncover their enemies, Lhind struggles with the invisible bonds of friendship and trust, while Hlanan begins uncovering her secrets one by one. Sasha's mother, Sun, was once swept away from a ren faire to another world by a prince - literally - but there was no happy ending. Sun's prince disappeared, and a wicked king took the Khanerenth throne. In the years since, Sasha and Sun have been back on Earth and on the run. Mom and daughter don't quite see eye to eye on the situation - Sasha wants to stand and fight. Sun insists her prince will return for them one day; it's safer to stay hidden. A fun swashbuckling book, actually half a book. This light-hearted Regency folly stars Miss Clarissa Harlowe who wants a quiet life - but falls in love with a smuggler, the marquess of St. Tarval. Tarval's sister, Lady Kitty, is determined to write a dramatic Gothic to save her brother’s mortgaged estate - if she can reach London. Clarissa's much-pursued cousin, Mr. Philip Devereaux, is inexplicably intrigued by Lady Kitty, who is doing her best to encourage the match between him and Clarissa, except that Clarissa is now betrothed to...Lord Wilburfolde. And so the mad change partners in the dance of love. 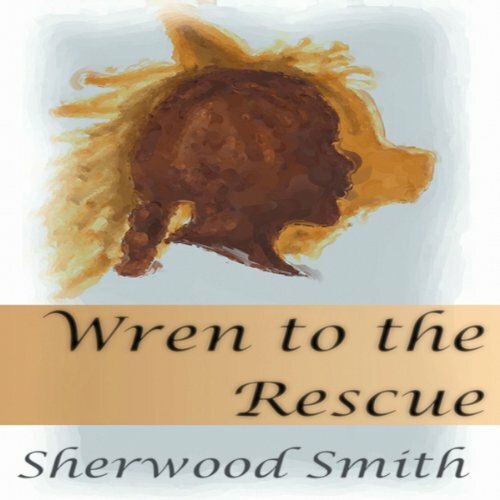 All her life Wren has hoped for an adventure. Now she has one - with a kidnapped princess, a handsome prince, and a magician. What does it matter if the princess is only Tess, her best friend from the orphanage; if the prince is a youngest son with no chance of becoming king; and the magician is an apprentice? Wren leads the other three over mountains and past killing spells, fighting battles along the way. But then she finds herself up against some shape-changing magic that may end her life as a human forever! 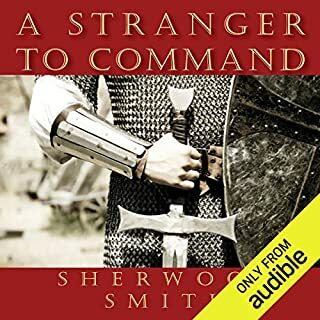 ©2011 Sherwood Smith (P)2013 Audible, Inc. I decided to read this book for nostalgic reasons. I read this book and the 3rd book in the series in middle school, but it was out of print so I could never complete the series. I still enjoy the story, very heartwarming and a good message of friendship, teamwork, and perseverance. It's especially a good read for young women because the story features strong female characters and focuses on a young woman trying to save her best friend instead of the usual romantic storyline. The only thing I wasn't super keen on was the narrator. She wasn't terrible, but I think sometimes it was hard to tell which characters were talking and there were awkward pauses in the middle of paragraphs.